The HLR Scholarship is a global opportunity that awards five young women an individual scholarship of up to $10,000, a paid summer internship with a JWT office in her respective region, a JWT mentor, and a “first look” placement consideration upon graduation. 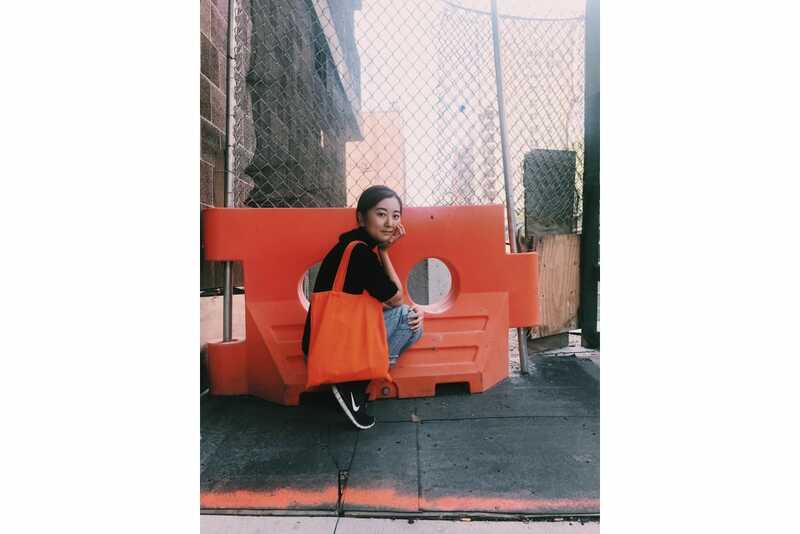 We caught up with our 2017 North American HLR, Ein Jung, to learn more about her background, creative inspirations and reaction to becoming one of the HLR recipients. I was born in South Korea, but I left my homeland at a young age to live a life abroad. 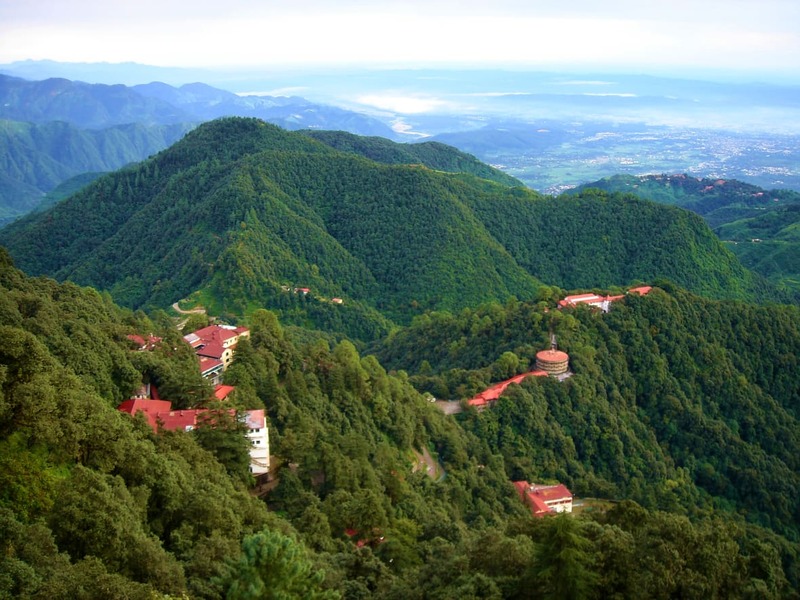 The majority of my younger years were spent in India at a boarding school located in the foothills of the Himalayas, about 7,000 feet above sea level. Due to the isolated location of my school, I had to be resourceful when figuring out what I wanted to do for the rest of my life. 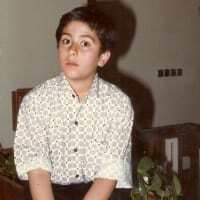 Thankfully, I had great teachers who exposed me to different industries within the arts. I soon learned that, ultimately, I wanted to be a well-rounded thinker and maker in a field that allows me to extend all of my capabilities to the fullest. I ended up becoming an advertising and design major at the School of Visual Arts. Now I’m in my senior year, figuring out my next step as an aspiring creative in New York City. I’m always in awe of the work that comes from the ad and design community, but I must say that I am most inspired by books and authors. The thoughts and feelings held between the pages of a book allow me to experience things that I never have before. I get to become a completely different person as I immerse myself into a character’s head and am able to follow their thought processes. This kind of freedom lets me be as “creative” as I can be in my own work. Recently, I’ve enjoyed the books: The Curious Incident of the Dog in the Night-time by Mark Haddon, The Secret History by Donna Tartt and Interaction of Color by Josef Albers. This question is much like asking a parent with eight kids which is their favorite child. If I had to choose, I would say that I really enjoyed working on a piece called “Tiedy.” It is a product design project that I created for my senior portfolio class at SVA. 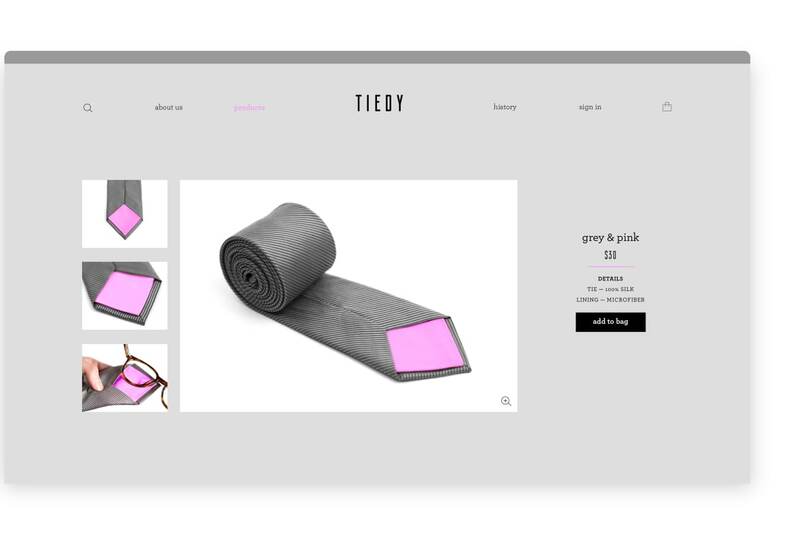 “Tiedy” is essentially a brand of neckties lined with microfiber cleaning cloth. 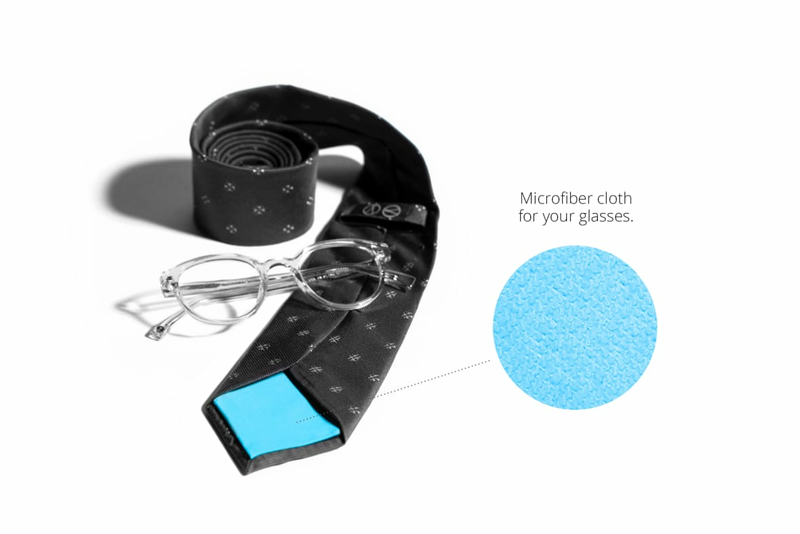 With these ties, you would be able to look sharp and see sharper. The idea came to my mind while I was thinking about my family and what kind of problems they would encounter every day. 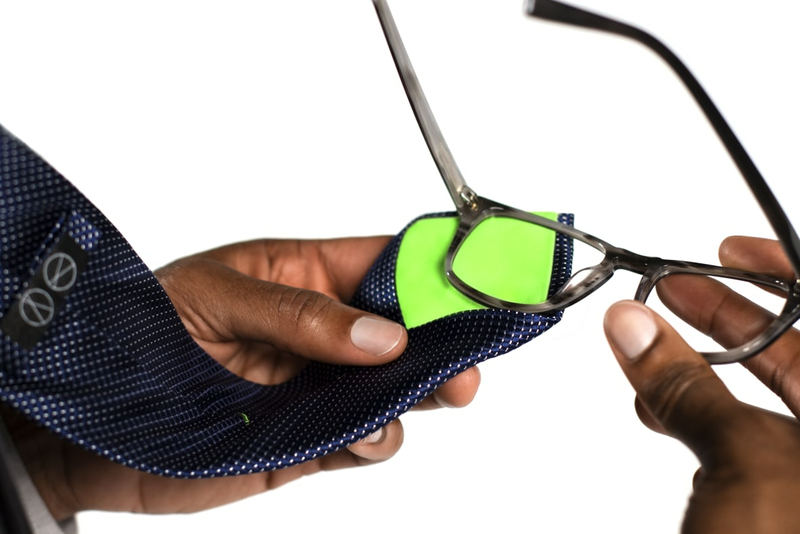 My dad, a businessman, wears glasses every day and often puts on ties for work. This inspired me to come up with this product. Overall, it was a fulfilling project and a great learning experience. I had originally planned on applying for an internship through another program at JWT. When I was on the Jump/Start information site, I noticed a link for the HLR Scholarship. Out of curiosity I clicked the link. After reading through all the requirements I thought it was worth a shot and filled out an application. As my senior year was about to start, I received a phone call confirming that I was chosen as one of the HLR recipients. I was so taken aback when I heard the news! I admit, I shed a few tears after I hung up – tears of joy of course! This scholarship not only gave me the financial help that I needed in my last year of school, but it also gave me the opportunity to work at an agency that has a rich history and amazing culture. Being an HLR recipient opened up doors that I didn’t even know existed. I’m ever so grateful for all that has happened so far and I’m excited to see what lies ahead! 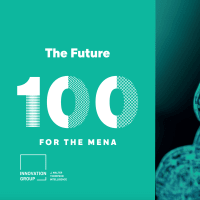 vorherige NEW MENA TRENDS ‘REBRANDING SEXUAL HEALTH’, ‘MINGLING WITH THE MACHINE’ AND ‘HALAL SPACE FOOD’ SPUR SIMILARITIES WITH THE WEST nächste "Dear Sasan Saeidi..."